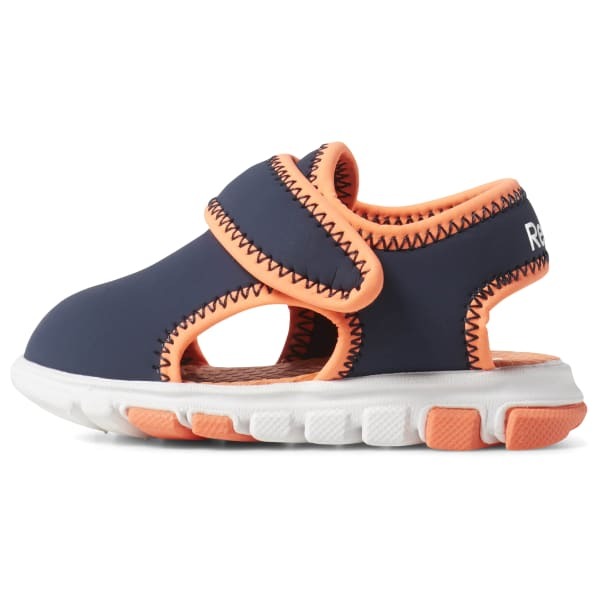 Light and sporty sandals for your little outdoor enthusiast. These baby girls' shoes have hook-and-loop straps to help you get a secure fit on wiggly feet. The soft rubber outsole provides traction and protects her feet from hot sand and pavement.